Note: I did this repair back in March, 2013, but for some reason, never posted all my pictures and steps performed to do the repair. After a winter's break, the spring-like temperatures outside made me want to grab some water blasters and have a little, light water war. 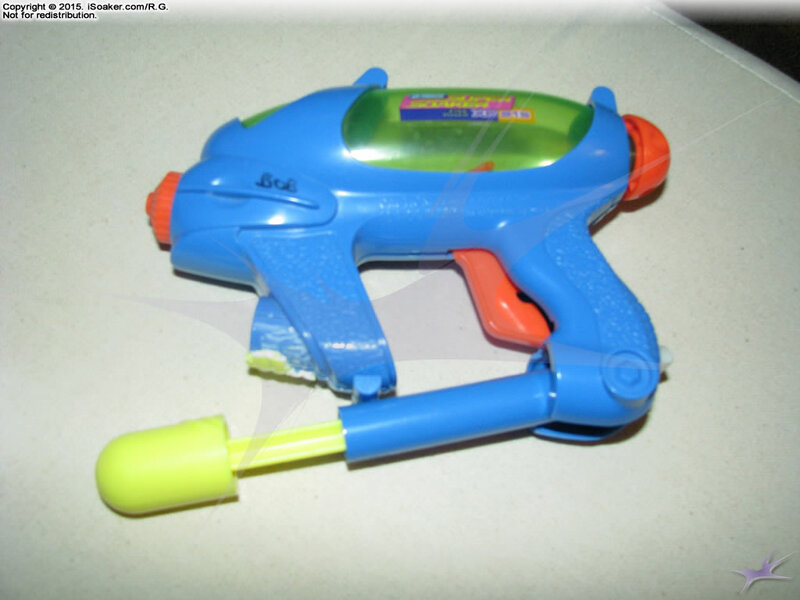 I grabbed one of my favorite water blaster, the Super Soaker XP 215, filled it, and began to pump it to pressurize its reservoir. Unfortunately, the pump was very difficult to move, at first. Pumping carefully, but with a little more force, it suddenly became extremely easy to move the pump rod, but pressure was no longer being increased in the reservoir. In an instant, I knew the pump-seal had given up, but was it even repairable? Only one way to find out. The pump cap is glued to the body of the blaster. Forced to cut/tear it off to free the pump. With pump cap removed, the pump rod can be slid freely from the pump shaft. The seal is missing from the end of the pump rod. Looking in, the seal (an O-ring) was lodged within. 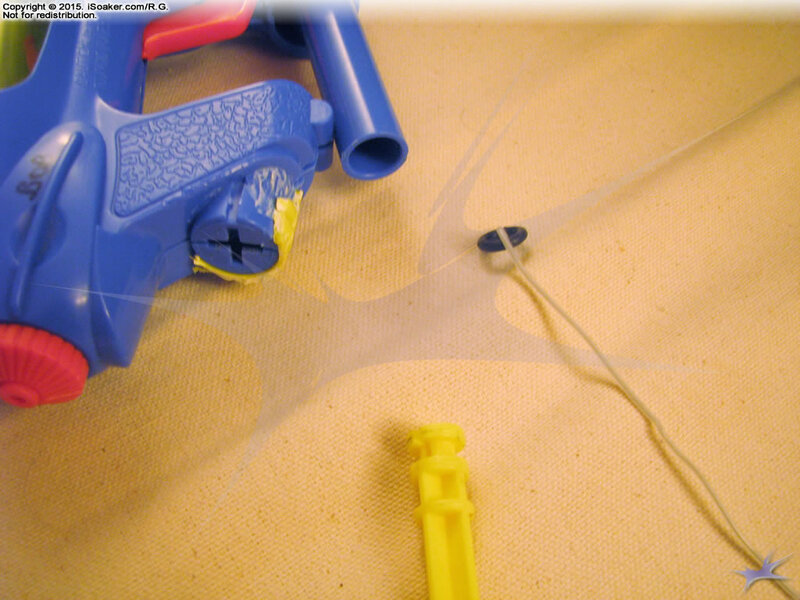 Leftover wire from another water blaster box makes for a great O-ring retrieval tool. And the O-ring goes here. And it works! 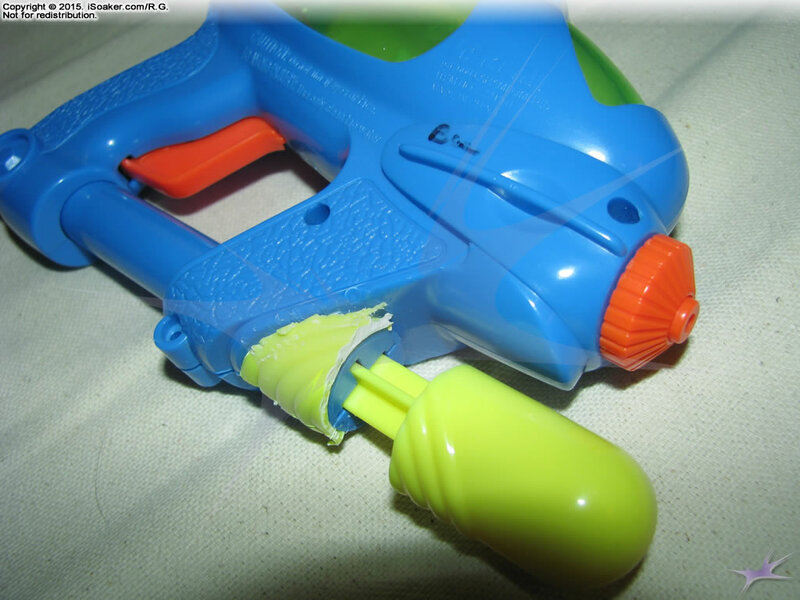 Though the signs that this water blaster has been opened are rather obvious. 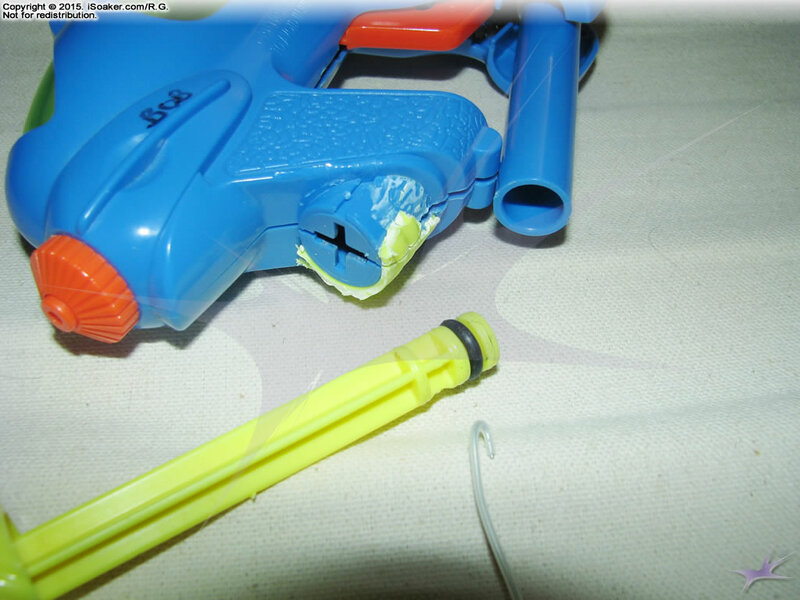 In the end, this repaired Super Soaker XP 215 can once again be filled, pressurized, and used to soak once again! 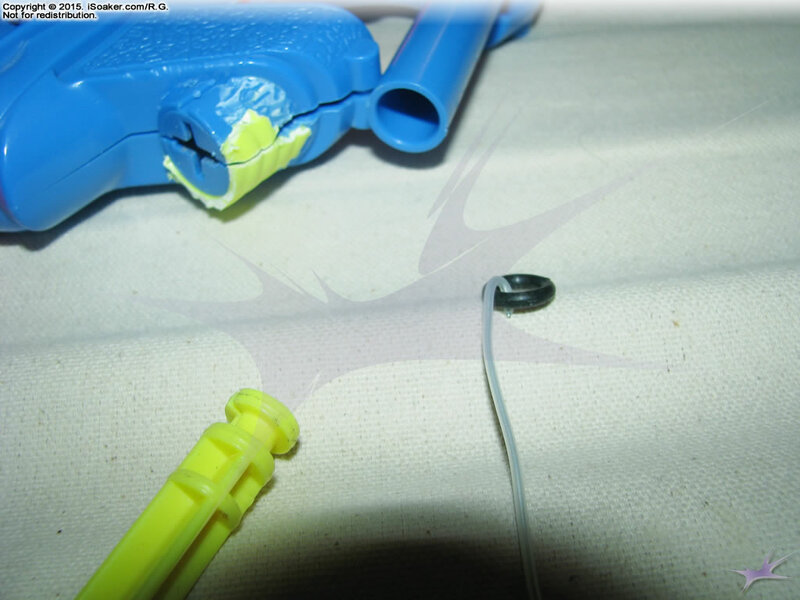 Though forced to rip the pump cap, because of the design of the body frame, the pump rod, itself, thankfully cannot be pulled out by accident during use. Granted, pumping does feel slightly sticky so am not sure whether the O-ring will eventually need to be completely replaced. 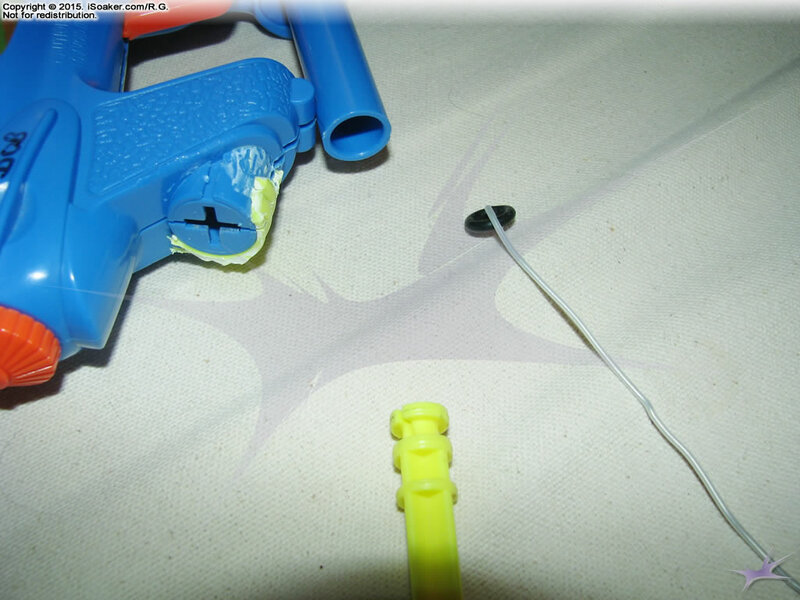 Also, I am not 100% sure what caused the O-ring to get stuck in the first place, but I have a sense that this particular water blaster was stored in a sub-optimal environment that led to this problem.